Tensions were running high in the waters surrounding the Channel Islands. It was 1993, and French fishermen were entering the six-mile limit around the islands, in which only British boats were allowed to fish. It came to a head when a British boarding party took over a French trawler on 2 April. Once onboard, they arrested the skipper. The boat in question was La Calypso, and the skipper was Michel Mesnage, who had been boarded once before. On that occasion, he’d been ordered to head for St Peter Port, but instead he’d turned around and motored back to Cherbourg, taking the British fisheries protection officers with him. On this second occasion, they were taking no chances. The Ministry of Defence had sent 12 Royal Marines to Guernsey to accompany the boarding parties. Mesnage was taken to Guernsey for questioning and arrived in St Peter Port at 4pm on 2 April. The British and French governments had no disagreement between themselves over the rights and the wrongs of the situation. France agreed with the UK that the fishermen shouldn’t be so close to the Channel Islands. The French fishermen themselves didn’t have any problems with the Channel Islands fishermen. They did believe that the Marines were causing trouble, though. 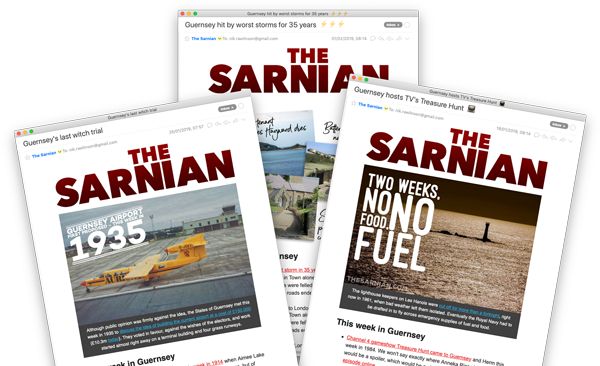 [Three Guernsey fishing boats] docked peacefully at the French port and were expected to unload their catches later today… The French police said ‘they have arrived as normal and everything is quiet’. An agreement between the French and British government which came into force six months ago limits French fishing in the disputed Schole Bank area to a handful of named vessels. But fishermen at St Peter Port said yesterday they had no objections to the French continuing to work there. Some were unaware of the terms of the agreement before negotiations with the French fishermen in St Peter Port last Monday. The talks came after almost 40 French trawlers arrived in Guernsey last Monday threatening a blockade because of the Schole Bank row. Mesnage was ultimately fined £3750 and allowed to return to Cherbourg.